Ben Roethlisberger was knocked out of the Steelers-Rams game Sunday with a brutal knee injury, but all is not lost if the ACL is intact. Ben Roetlisberger could undergo MRI after Steelers return to Pittsburgh tonight, but he is expected to miss minimum of 4 weeks, per source. 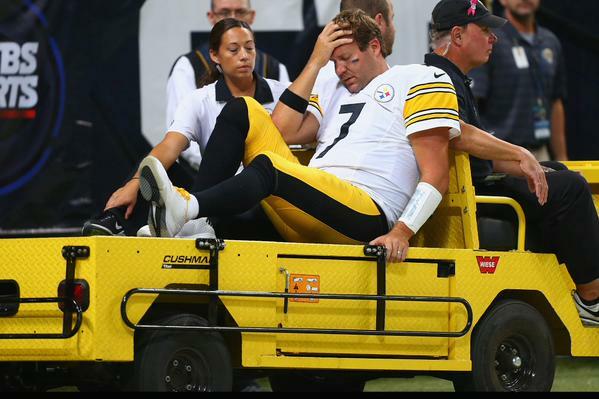 Ben Roethlisberger expected to miss at least 4 weeks with knee injury, source tells ESPN. He will undergo an MRI Monday; hoping ACL intact.